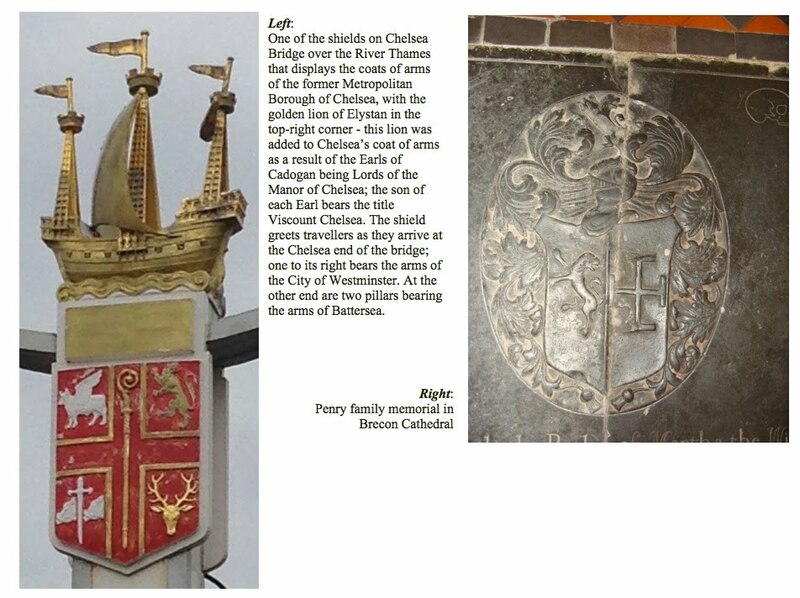 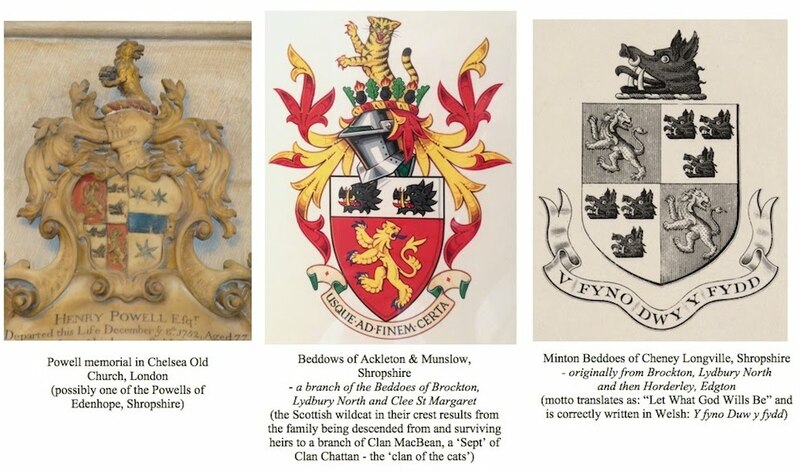 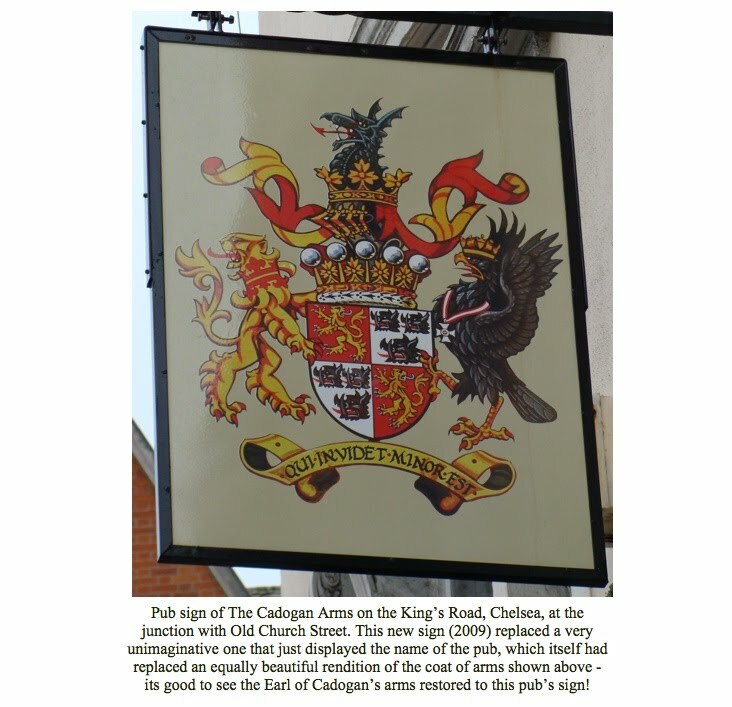 Below are some heraldic representations connected to Elystan Glodrydd and his descendants, beginning with illustrations and explanations of three of the most well used designs of coats of arms attributed to Elystan, families who descend from him and places connected with him. 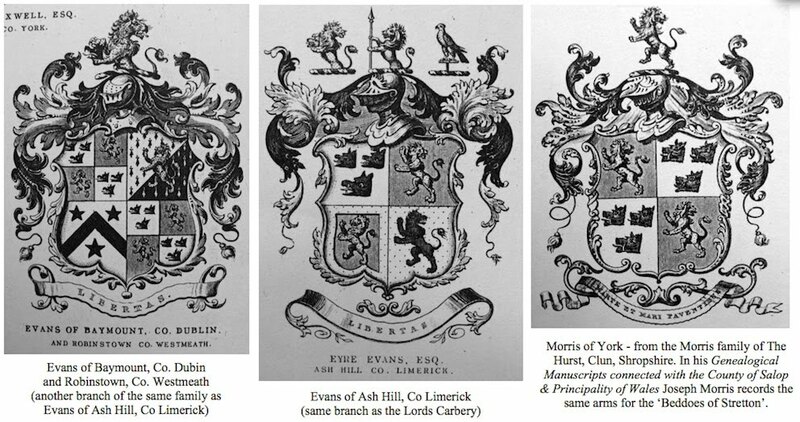 From these flowed many variations on themes. 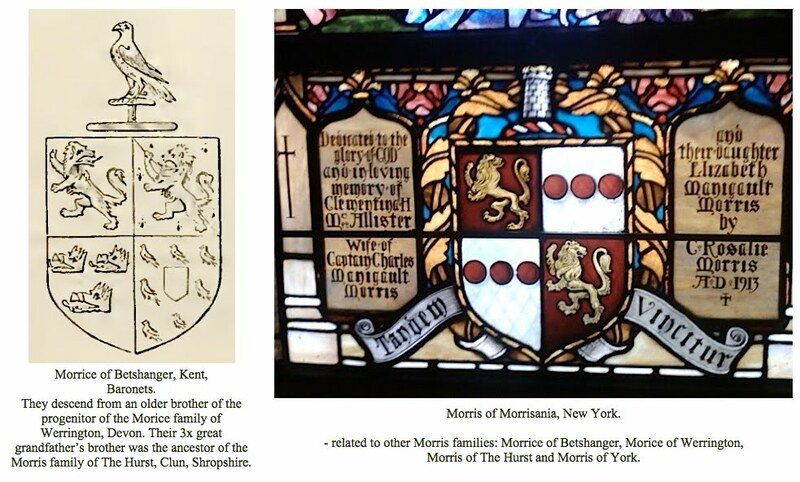 The examples below include memorials and hatchments inside churches, bookplates, pub signs, the Regimental Colours and a Company Colour of the Welsh Guards, the coat of arms of Her Royal Highness The Princess Edward, Countess of Wessex, an old County boundary sign of Radnorshire, other Civic heraldry in the United Kingdom and United States of America, illustrations found inside books, illustrations of arms granted by the College of Arms, on a bridge crossing the River Thames in central London, and even on the badge of one of the worlds most well known team of football champions! 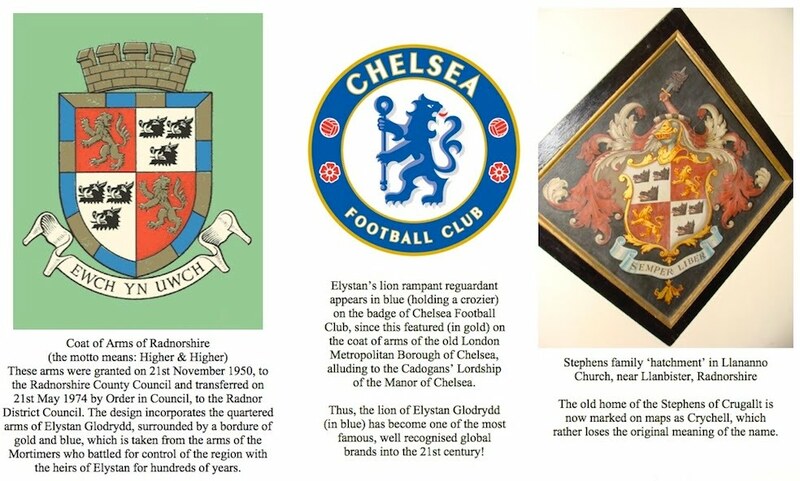 Elystan would probably be amazed that his family’s heraldic legacy is still so much in the public eye and seen on TV screens and in newspapers and magazines around the world almost every week. 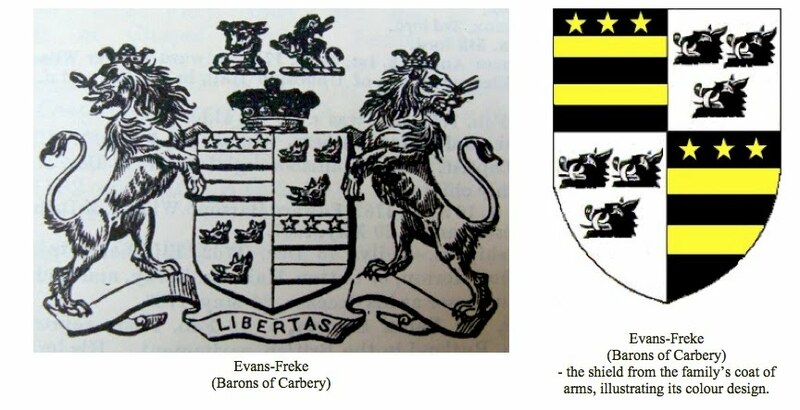 Above left: The golden Lion Rampant Regardant on a red shield is the coat of arms retrospectively attributed to Elystan Glodrydd himself. 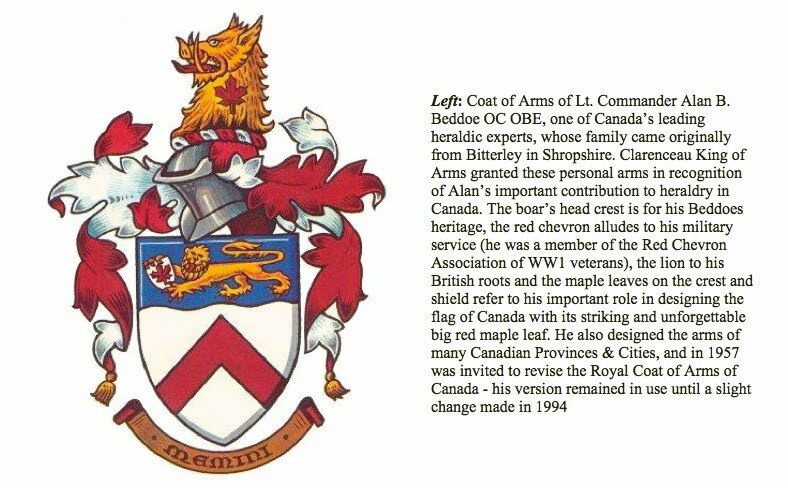 Quite why this emblem was chosen is not known. 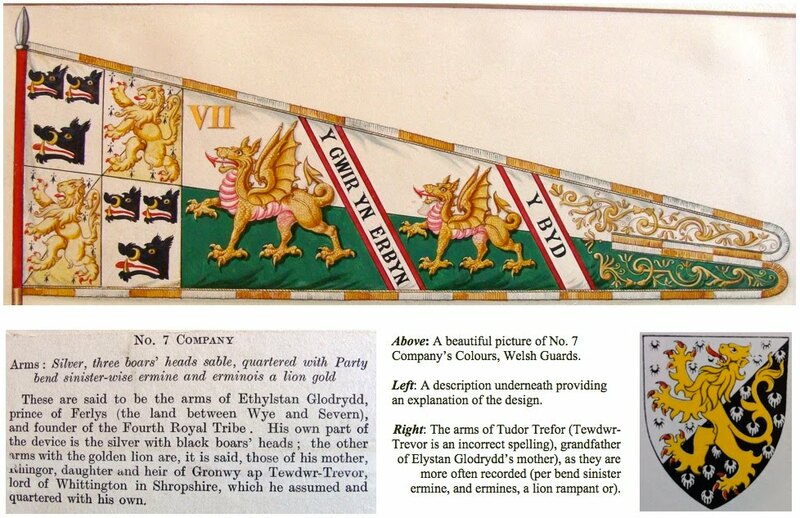 Perhaps it was meant to be representative of his dynasty being pushed back into Wales, pursued by advancing Anglo-Saxons and Normans - very hypothetical and we shall probably never know why the heralds gave Elystan these arms. 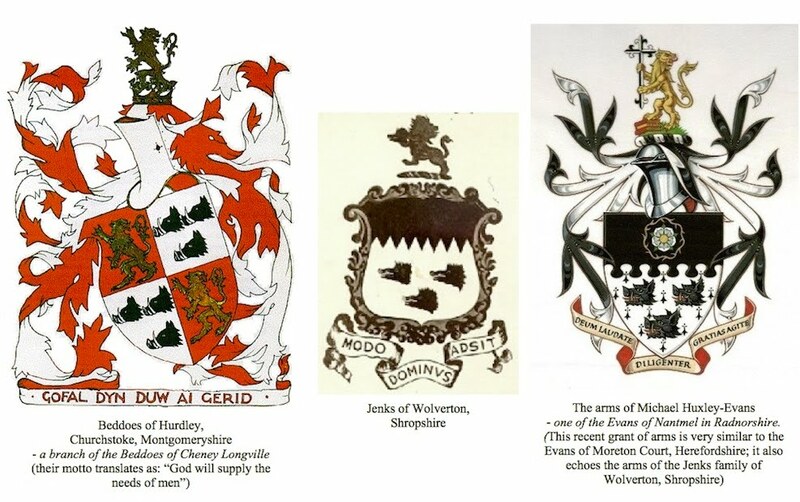 Above centre: The quartered arms is one of the variation of designs of coats of arms attributed or granted, and used by many of the families who were descended from Cadogan ab Elystan Glodrydd, and was incorporated as the most significant and majority part of the coat of arms of Radnorshire. 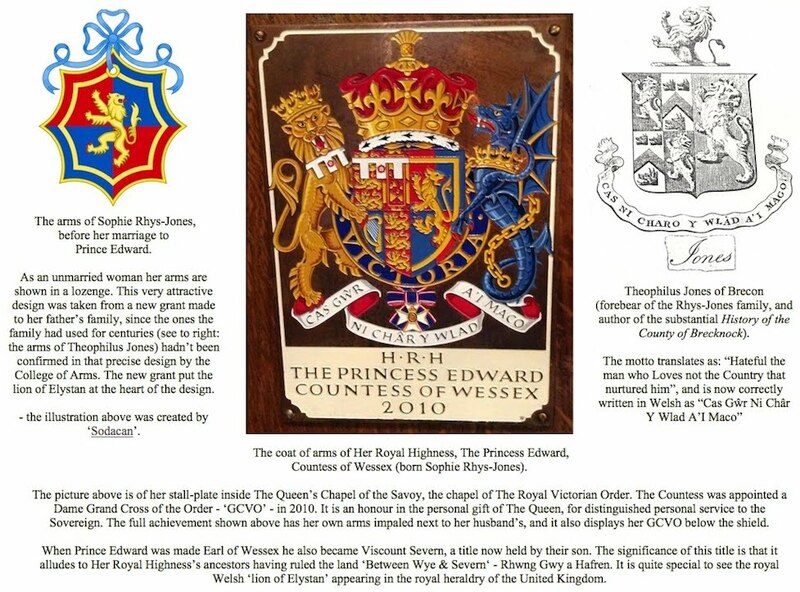 It is the design that is sometimes used as most representative of the dynasty and ‘5th Royal Tribe’ (the family of Elystan Glodrydd) as a whole and the region of Rhwng Gwy a Hafren - The lands ‘Between Wye & Severn’. 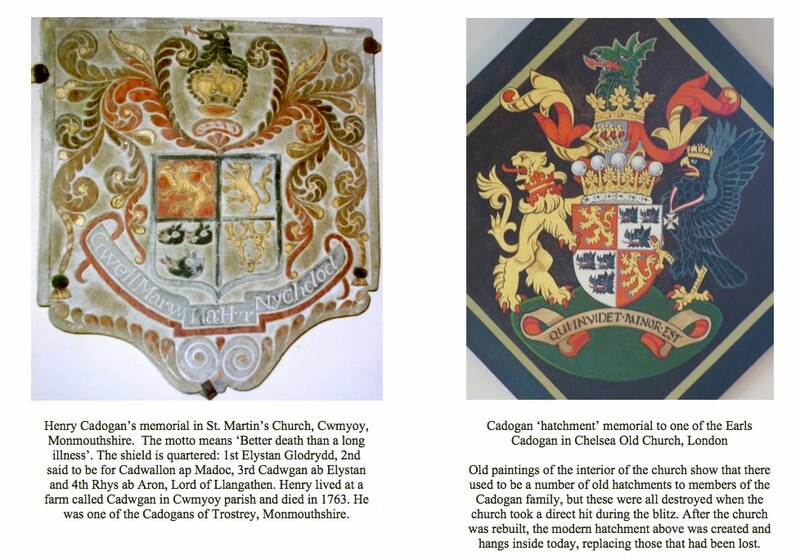 Above right: The three Boars’ heads come from the Arms attributed to Elystan’s son, Cadwgan (English: Cadogan). 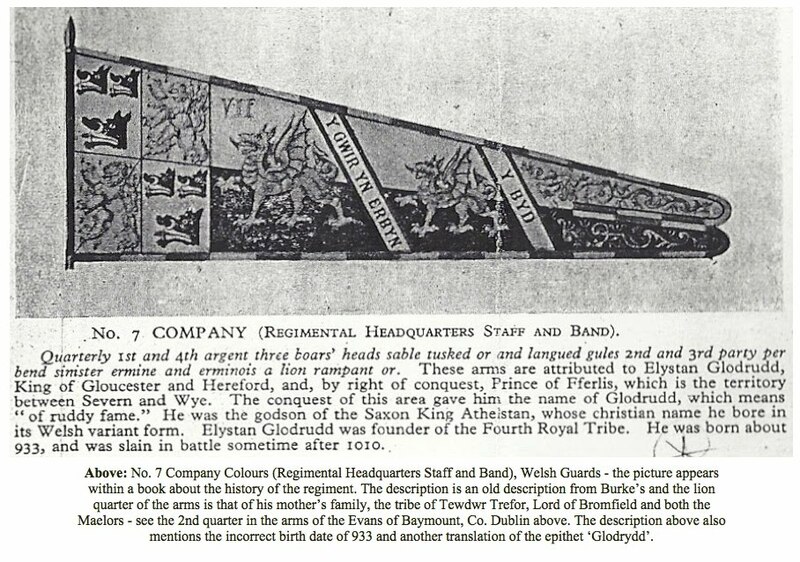 Elystan was said to have had more than one wife and there may have been a mix-up over which was Cadwgan’s mother. 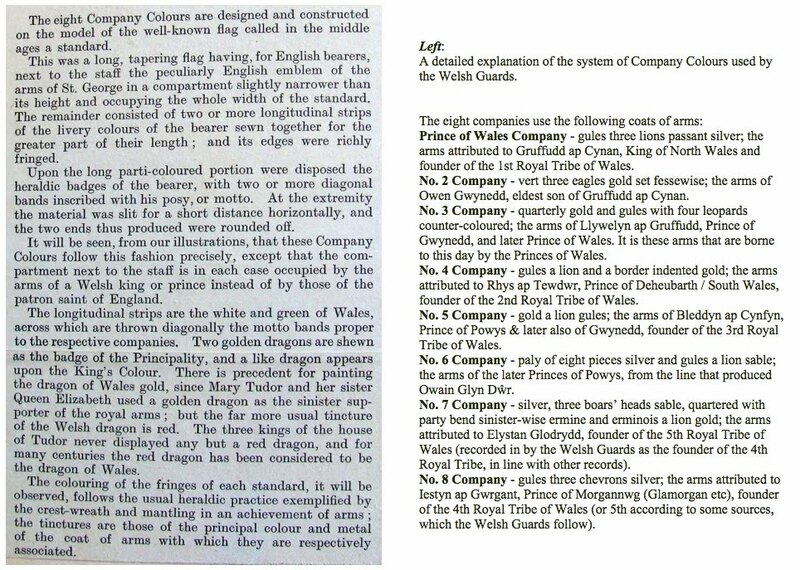 Gwenllian ferch Einion ab Owain ap Hywel Dda is preferred. 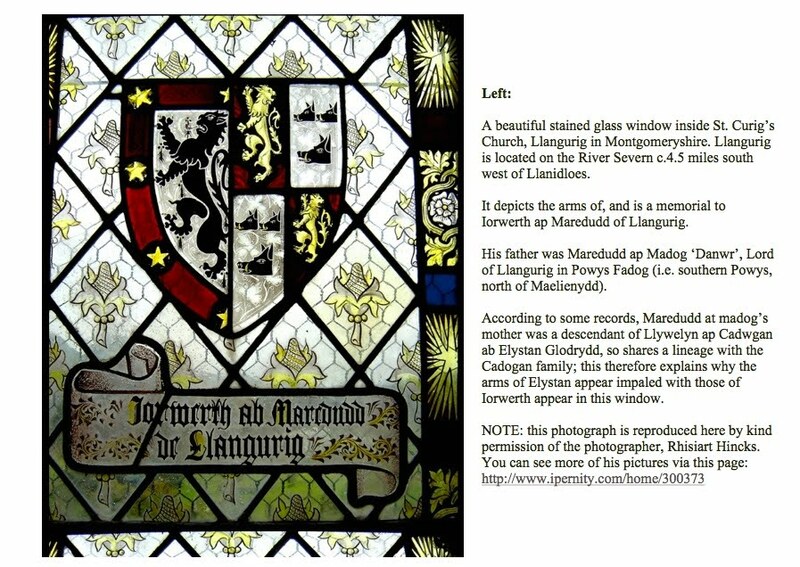 But some have recorded his mother as Gladys, dau of Rhun ab Ednowain Bendew, Lord of Tegaingl (the area of today’s Flintshire). 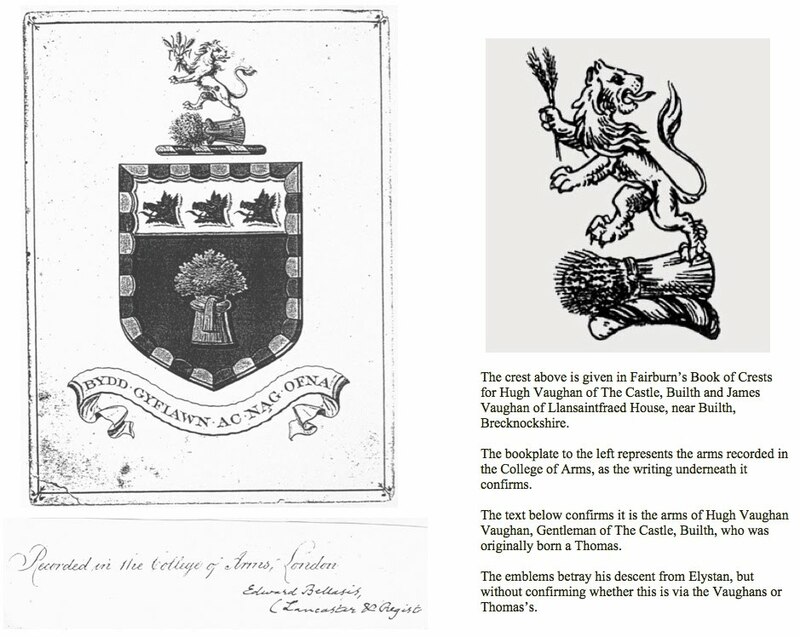 The coat of arms attributed to Ednowain had three boars’ heads just like Cadwgan’s. 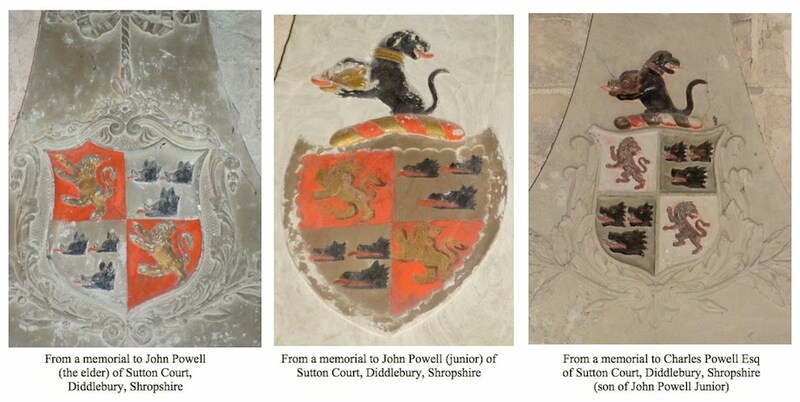 These alluded to the legend that Ednowain was very brave as a young man and killed a large boar single-handedly. 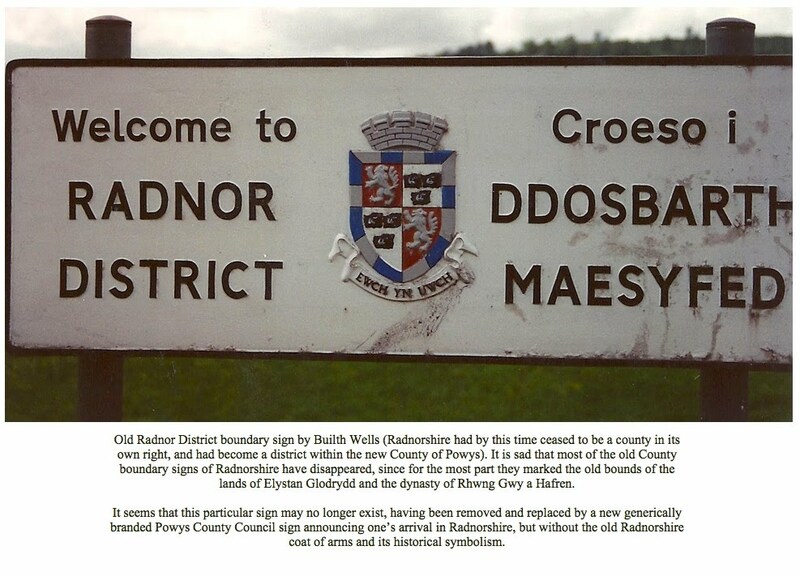 Ednowain was a descendant of another branch of Elystan’s own family. 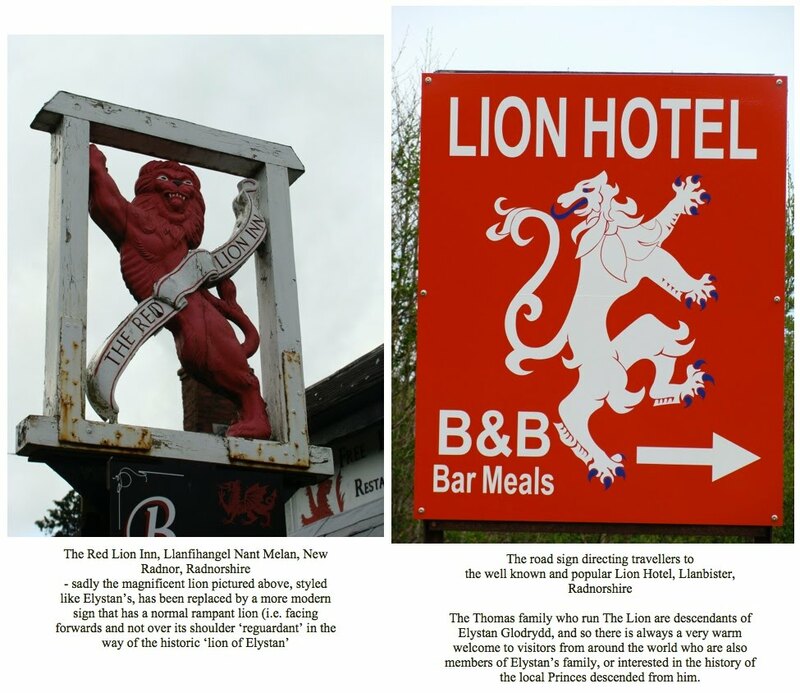 However, the bards referred to the boar in poetry about Elystan and his tribe, for example the famous Lewis Glyn Cothi in the 15th century who wrote: Tarian Elystan fal iâ, Iddo hon a ddihuna, Ac ynddi'n meistriol'r drin, Ben baedd yn erbyn byddin. 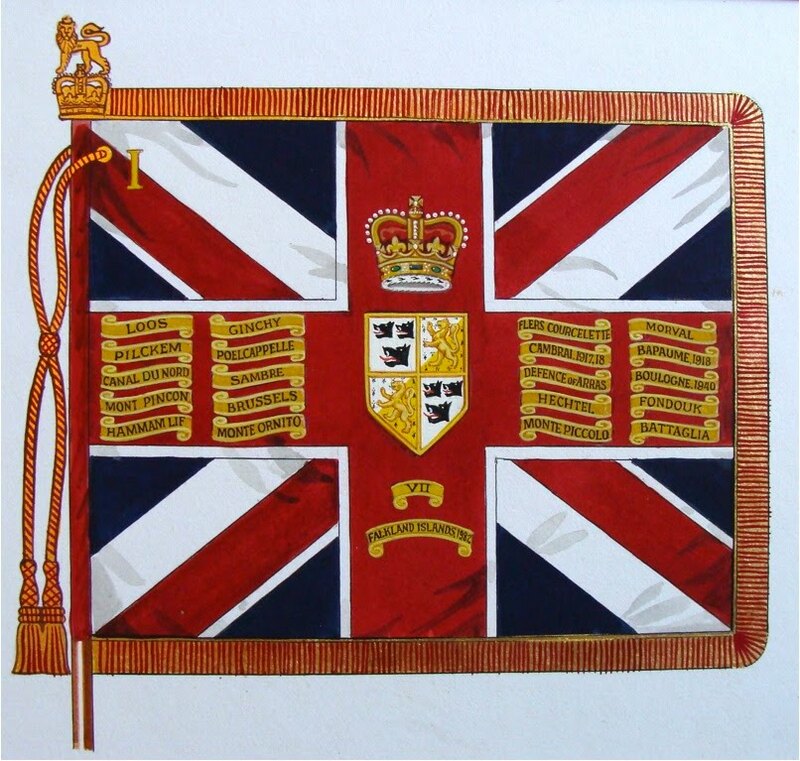 A translation given by ‘Radnorian’ is: The shield of Elystan like ice, is awakening unto itself, and within it mastering the threat, the head of a boar against an army. 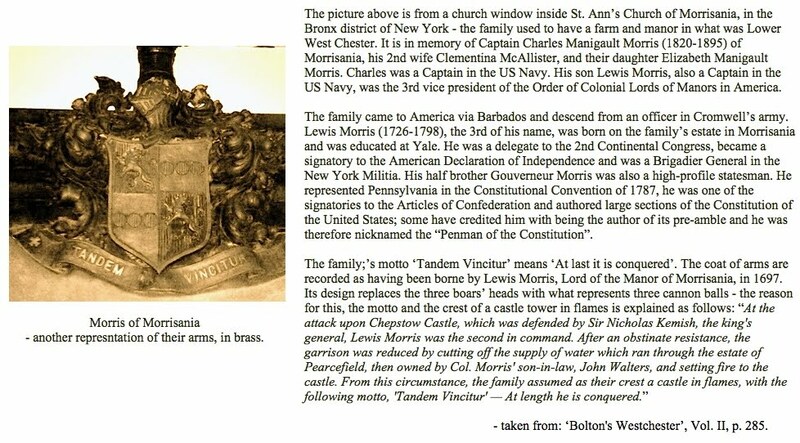 (click here to see).